On December 14, 2016, President Barak H. Obama signed into law (Public Law No: 114-269) Senate Bill S.2234 to award the Congressional Gold Medal, collectively, to the members of the Office of Strategic Services (OSS) in recognition of their superior service and major contributions during World War II. See this press release from the OSS Society for details. 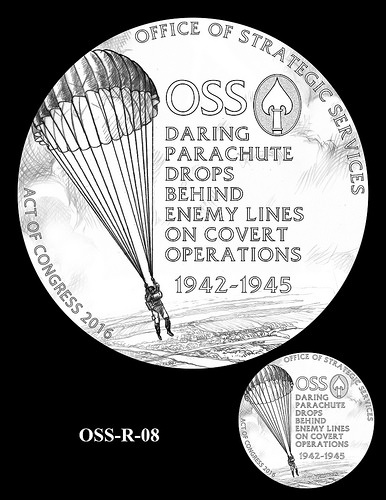 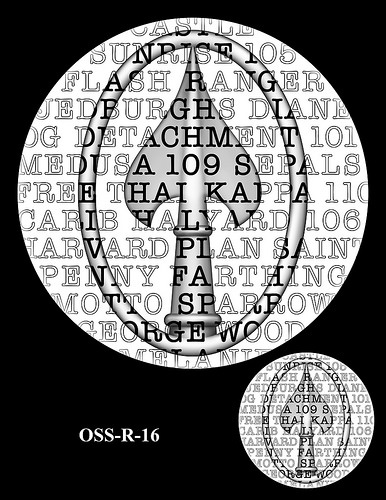 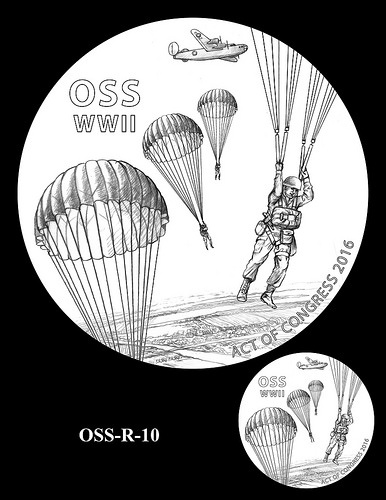 The United States Mint recently revealed design candidates for the OSS Congressional Gold Medal, shown below. 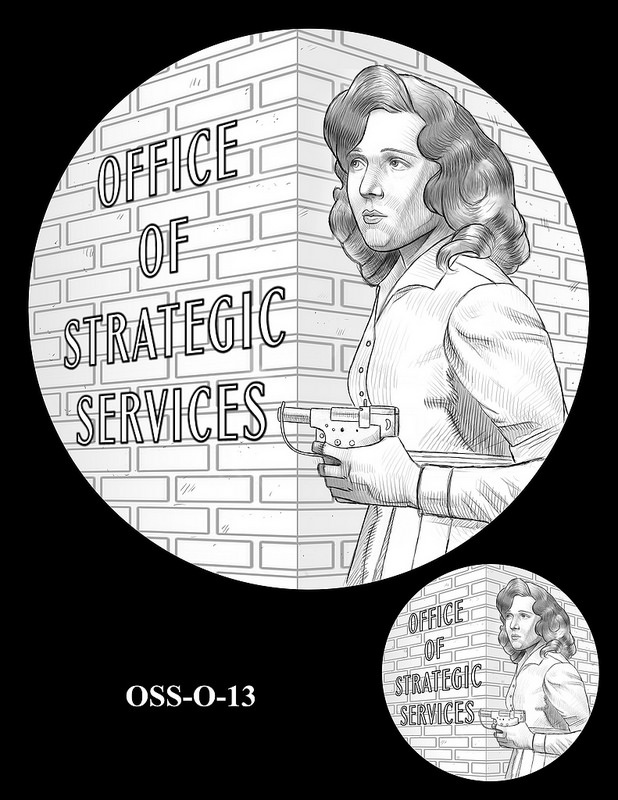 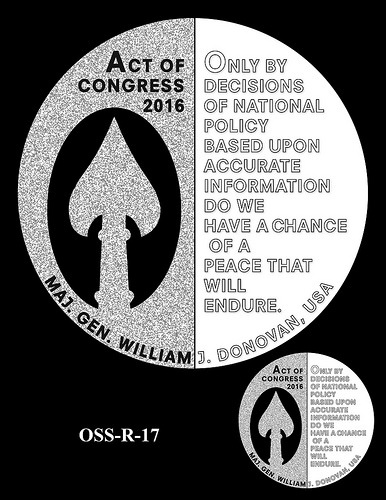 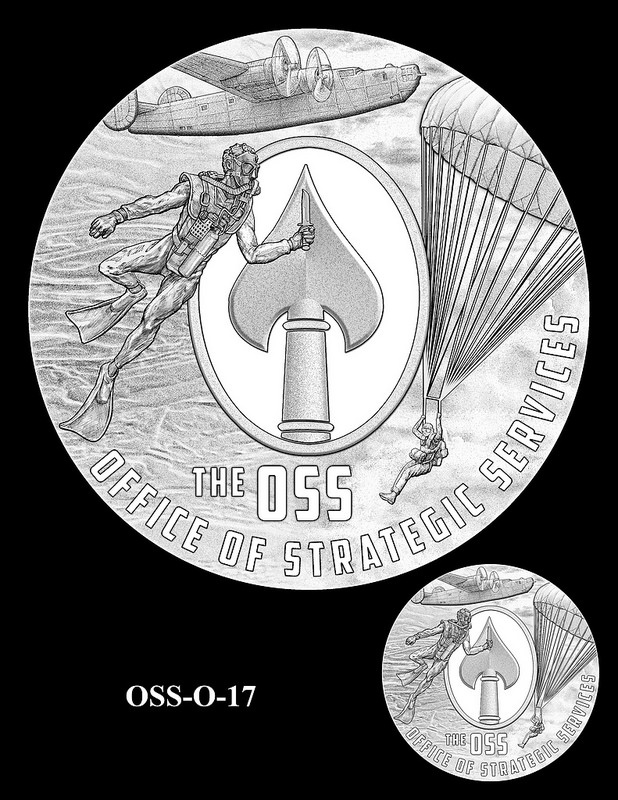 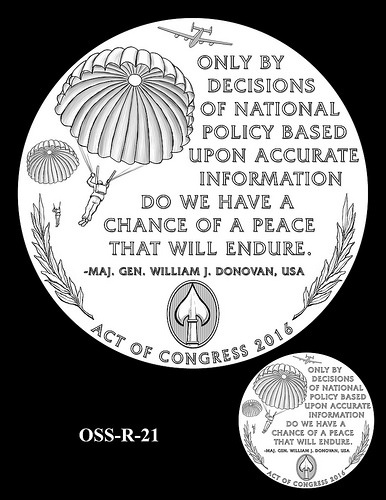 Themes for the OSS medal include the covert side of its operations, its founder William “Wild Bill” Donovan, and its activity in World War 2 in general. The Commission of Fine Arts (CFA), the independent agency that reviews the designs of buildings, public spaces, and art to be placed within the boundaries of the District of Columbia, is also authorized to review candidate coin designs and make recommendations. The CFA's choices (Obverse OSS-O-15 and Reverse OSS-O-19) are noted below. Obverse 15 is the CFA pick. Reverse 19 is the CFA's recommendation.